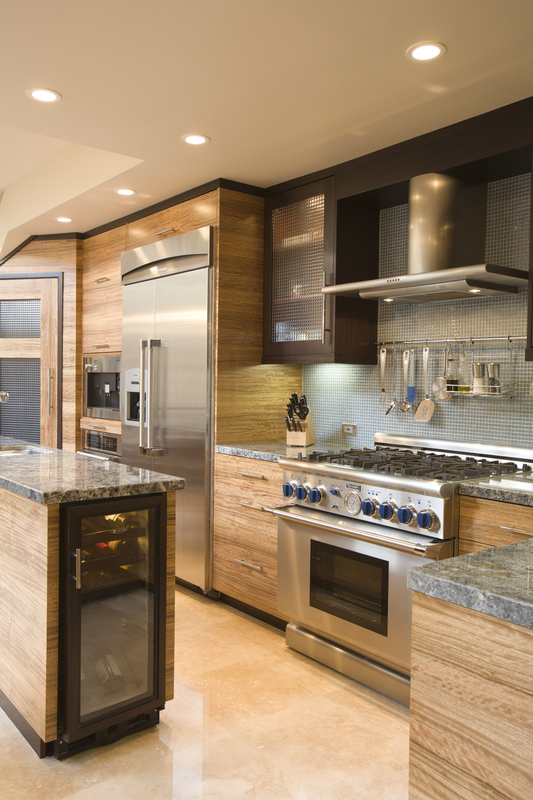 Objective: Project manage high-end, whole home remodel. 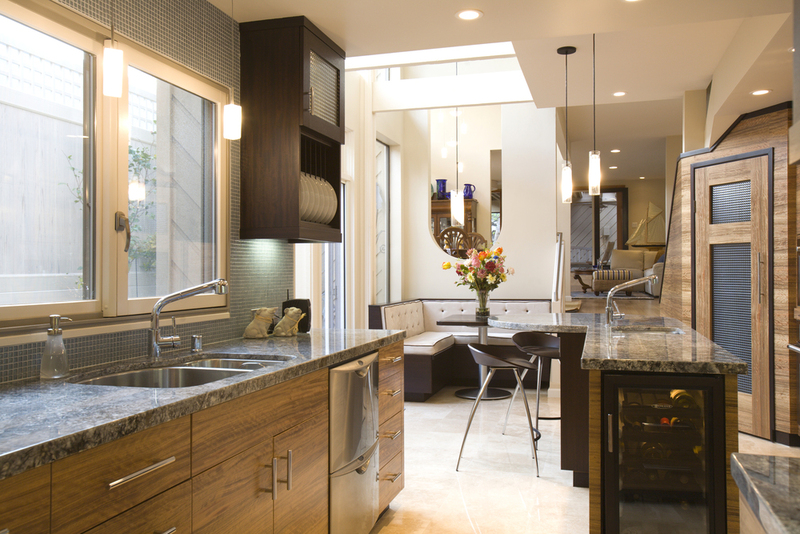 Results: We carefully executed the modern, interior design of Rebecca Flynn of Borrelli Design. The kitchen features huge windows, banquette seating below a vaulted ceiling, and custom designed cabinets also crafted by Borrelli Design. In the master suite, glass-front closet doors allow natural flow of light and natural stone steps rise to the master bath which features a double sink vanity, expansive glass shower stall, and raised, tile-enclosed tub. Steps leading from master bedroom to bath. 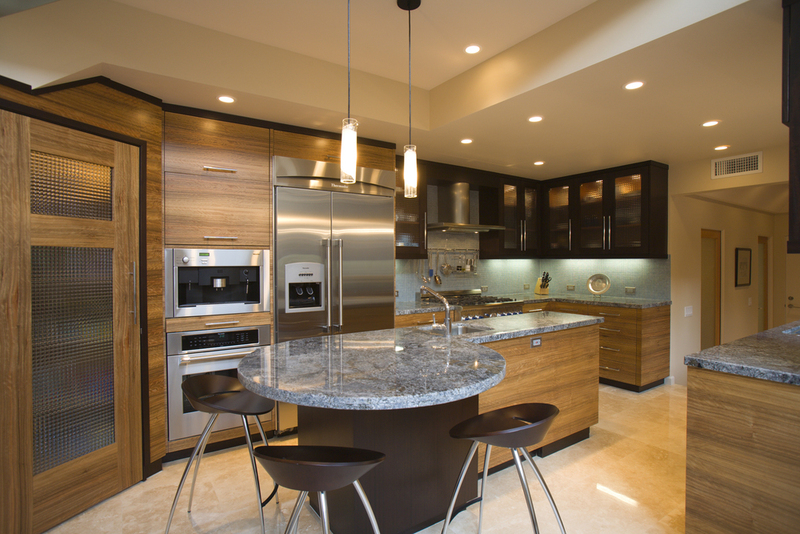 Kitchen features cabinetry of wenge and pal deo. Looking towards breakfast area and living room.